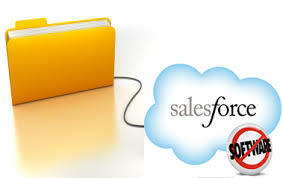 Salesforce.com provides an easy way to periodically download your entire organization’s data. Located in Setup | Data Management | Data Export, you can either export the information immediately or create a schedule to do so periodically. Once the file is ready, you will receive an email notification where you can download the file and store it safely. Recently I had downloaded the zip file and began looking into the contents. The structure of the zip file is pretty straightforward. Data from standard and custom objects are located in the top level folder with a .csv (Comma Separated Values) file extension. All account data is found in a file called “Account.csv” that you can open up in Excel to peruse. Custom objects use their API name, so if you had a custom object called “Case Study”, the name of the file would be something like “Case_Study__c.csv”. No file extension is given, so you do not have any idea whether a particular file is a PDF, Word Document, Excel Spreadsheet or some other file type. And if you have thousands of records, locating the file you will need be cumbersome (unless of course you search for it within Salesforce). Fortunately, you can figure out this information from the corresponding CSV file. We wanted a way that would automate this process and rename the files to something more meaningful. 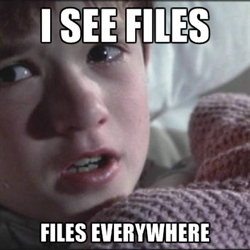 So I set about to write a short script to create renamed versions of the file. Rather than fire up Eclipse and write Java or Microsoft Visual Studio and write C#, I decided to use tools that already existed and settled upon Bashfor the script and Awk for handling the parsing and file copying. Before running the script, be sure that the target or renamed directory exists. What I recommend is to create three folders: RenamedAttachments, RenamedContentVersion and RenamedDocuments. After the commands run, navigate to the new Renamed directories where you will find files with much more friendlier names along with file extensions, if available. Finally, if you are using Windows, this script requires Cygwin or if you are a developer and are running Git Bash (you want msysGit), you already have everything you need. Formulas are great, but they have their limits as business logic grows in complexity. What if you could write complex formulas in an existing dynamic language? Join us to learn how we implemented a formula language that enabled us to jump between Force.com and Heroku to leverage the strengths of both platforms. Come prepared to dive into the cloud and think about ways that you could leverage multiple Salesforce platforms in your own company.